– sold with or without prints. 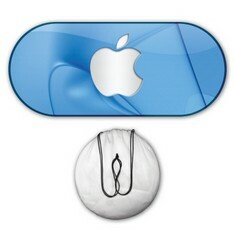 Custom sizes are available on request but dependant on quantity. 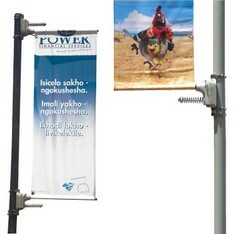 The Banner Hoist (Outdoor & Indoor) is ceiling or truss mounted that operates via remote control. Once installed, no rigging is required as the Banner Hoist lowers to load a display into position by means of a simple press of a button. 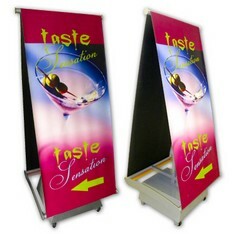 The Banner Stand Outdoor is steel constructed to create a weighted base and epoxy coated in silver colour, intended to accommodate one single print offering a double sided unit. The Banner Tension Mount is a spring loaded bracket that discharge wind pressure keeping banners in original condition. 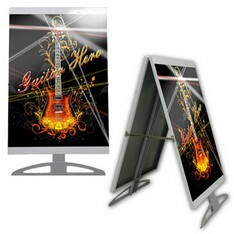 – with or without full colour double sided print. 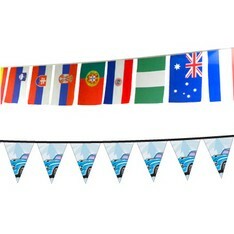 The Bunting is made to order to size and artwork specifications printed on PVC or Textile, Single or Double Sided. 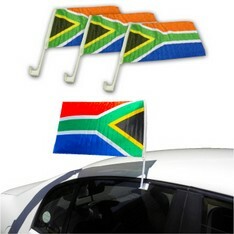 The Car Flag is constructed from durable uv stable substrate to accommodate a 300mm x 400mm dye sublimation cloth print in full colour. 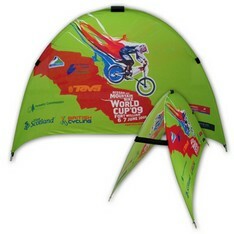 The Car Sun Shade Oval includes a single wire reinforced system and is supplied with full colour dye sublimation print and carry bag. 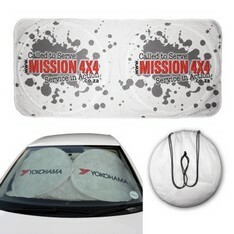 The Car Sun Shade Two Circle Rectangular includes two round wire reinforced rings and is supplied with full colour dye sublimation print and carry bag. 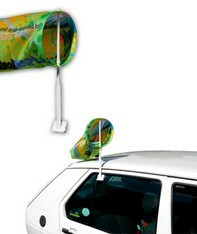 The Car Wind Sock is constructed from durable uv stable substrate to accommodate a 235mm diameter by 500mm long conical full colour dye sublimation printed body. 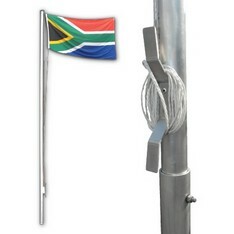 The Flag Pole 6000mm is aluminium constructed in two parts to accommodate all flags with toggle and rope. 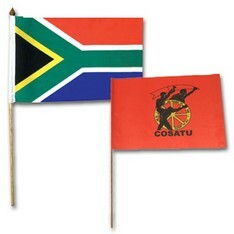 Flags with toggle and rope include standard country flags as well as custom sizes. 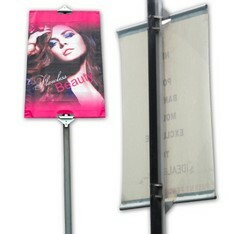 The Pole Banner Mount is a spring loaded bracket that discharge wind pressure keeping banners in original condition. The mount eliminates bracket and possible light pole damage. *1000mm wide x 1600mm high. The Wind Spinner is steel constructed and epoxy coated in black colour, intended for outdoor use as it is propelled by wind. The system has an overall height of 1215mm with two display faces and apertures for floor fixing – with or without full colour print. 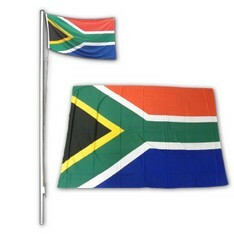 Custom sizes / colours are available on request but dependent on quantity.